So if you don’t believe in the amazing, core-shaking, life-changing power of love…well, you will never experience it. And I feel sad for you! 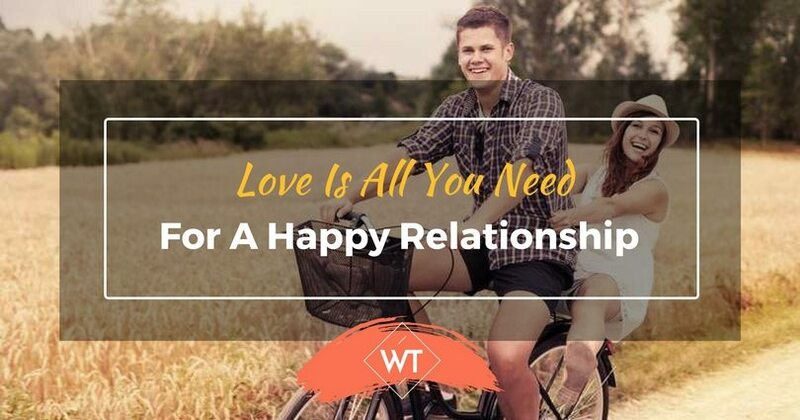 After all love is all you need for a happy relationship and a happier life. The first man I was in love with, ever, was a good friend of mine for a while. One evening we were talking about love and relationships, and I told him that all I wanted was to be with someone I love who loves me back. He said “You’re not gonna get that. Plus you don’t really want that anyway.” This wasn’t the first time in my life that I received evidence—verbal or any other kind—that something was seriously wrong with the entire concept of love. I am a child of divorced parents, plus I grew up in the end of the 20th and the beginning of 21st century—a confusing time a few decades after the sexual revolution when traditional family started making a comeback, but being single was also considered totally okay, even cool. And even though I was a romantic by heart, I picked up the overall opinion that love is in fact just a part—rather small part, perhaps—of life and of marriage and relationships. After all, it was a tempting thought. If we didn’t necessarily need love, and we could build a happy relationship on entirely different foundations; if love was just a beginning, or just an afterthought, then I could rationalize things and achieve them just like I achieved everything else. The first guy I was ever in a serious relationship with was the perfect example of that. This one, unlike the other one I told you about, I didn’t really love right away, but I really, really liked. He perfectly fit in my description of the man I wanted next to me and when things between us developed, I was the happiest person in the world. We were great friends, we were great lovers, we were great roommates. But something was missing…I broke up with that guy after two-and-a-half years and kept looking for the man of my dreams. Note: I wasn’t looking for love anymore. I was looking for a man. For a partnership. For a relationship. And sure enough, within just a few months I found him. And he checked, like, 99% of my boxes. And it was beautiful. Until it ended because, as it turned out, I didn’t check his boxes. By the time all of this had happened, I had turned 25. I wasn’t too late, it was totally okay that I was breaking hearts, that I had my heart broken, that I was multi-dating and hadn’t settled down. I knew that. And here I was, 25, tripping on the same curb again and again. What was I missing? Where was the answer? Was a happy relationship beyond my reach? I remember the moment I got my answer and it was almost an out-of-this-world experience. I think I read something, or watched something—and I would be happy to tell you what it was, but I don’t remember, for it wasn’t the interesting part. It was simply a trigger to what turned out to be the key to a happy relationship and a happy life for me. This trigger, whatever it was, suddenly removed the pressure in me. Something deep in my stomach released its icy grip and I felt light, relaxed, calm. My shoulders dropped, I felt warm and was smiling for no reason at all. And the best way I can describe that rationally was, that I finally let love in! I embraced love and understood that love was all I needed. That all the lists in my head, all the values I was now aware of—that all was fine and helping me experience life better—but that I, in all my wisdom, and awareness, and openness, even if I had spent my entire life trying to, could not possibly know better than the Universe—or God, however you wish to call it—what was best for me. Or who was best for me. The thing about humans is that we like to be in control. We have schedules, habits. Even if we are—and we are though most people can’t comprehend it—able to do whatever we want to do whenever we want to do it, we’d still create a routine to follow because our minds can’t help it. It’s the same with relationships. Even if we have the opportunity to be with anyone, anywhere—and we do—we can’t handle the pressure of that vast choice and we have to make a list. The thing is, lists change. Because we change. And our partners change. People develop. They adopt new points of view, learn new things. Which is why if you start a relationship with the help of a list, a few years down the road you probably won’t be happy anymore. But you know what doesn’t change? Love! 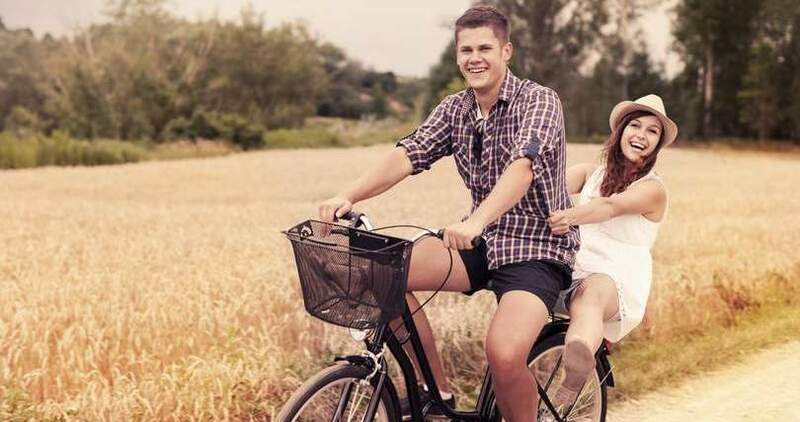 Unhappy Relationship – They’re in a relationship that doesn’t make them really happy. And so they try to convince themselves that even though they don’t “love” the person, other things are more important. Find ‘The One’ – They are single and trying to rationalize relationships and find the one just like they would find a job. Been there done that. Doesn’t really work unless you’re fine with slowly moving in the previous group I mentioned. Every Day Isn’t A Sunday My Friend. Try– They’ve been hurt (a lot!) and now refuse to risk falling in love. Compromise For Love – They’re not ready to swallow their ego for someone else. Love Is The Only Healing– They’re not ready to release that ball of anger, sadness and pain to let love in. If you think you fall in one or more of these categories—if you’re offended by the categorization exactly because you feel that you fall in one or more of these categories—then it is time for you to let love in. No ifs, ands, or buts. No “but I’ve done that and it doesn’t work”. No excuses. If I can find true love, then you can too, just open your freakin’ mind to the idea! Don’t you see?! In claiming love, not everything is the safe way. It’s not what works. And people only choose the safe way when they are scared out of their minds! But will you let fear control your life? Let me tell you what happened after I finally opened my heart to the idea of love. Within a month or two I met the love of my life. And he was nothing like what I would’ve thought. But the physical attraction was there even though he wasn’t my usual type. The spiritual and mental connection was amazing even though I would never think of him as someone who would “get” me. It was just right there, staring me in the face! By the way, that’s also the way I found my perfect wedding dress. I went looking for one thing, but ended up with another; and looking at my pictures, I couldn’t have been happier! You have to understand that you don’t always know what’s best for you. In fact, you usually don’t know until you see it. But if you think you know, you won’t see it. It’s a vicious circle. But love, make no mistake, is not easy. In order to feel love, to understand love, you do have to be aware, to know your values, to know yourself. In order to let love in, you do have to work on handling your fears, because love is scary—no question there! Love takes decisions and sacrifices. When we met, he had a girlfriend that he was almost engaged to. Ironically, she was everything on his list! Everything! Before he met me, he used to tell his friends that she gives him everything he needs and that’s fine, he doesn’t want more than that. Until he found something more than that. When we met, we also lived in different countries and he absolutely opposed moving. So when it came to this, the ball was in my court. But, you see, we ended up together. And it’s been almost 5 years—which for some might look like a short period of time, but we’ve been through so much that it feels like 15 years—and we’re still crazy about each other. We still want to do whatever we can to make the other person happy. We still light up when we see the other person. We still surprise each other. We still support each other. And I just haven’t seen this kind of relationship being born from anything else, but love. No. Love is all these things and so much more. Love is the proof that people who are different can create amazing relationships if they simply open their minds and hearts to the other person and accept them for who they are. Love is the appreciation of what some may consider one’s disadvantages. Love is the commitment to the relationship, you being ready to fight for it and make it work even when it looks impossible. It’s so easy to give up on love just because you don’t understand it. Just because you’re not ready for it. But you need to understand that the second you give up on love, you are the one who loses. And so, are there other things in the relationship besides love? Maybe there are, but they are all results and expressions of how much you two love each other; how ready you are for love at all. This article has a funny headline. 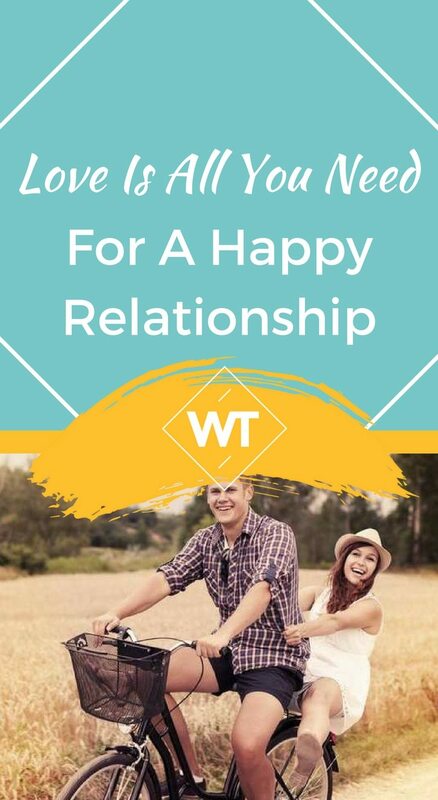 Because even if love is all you need when it comes to a happy relationship, there are so many other things out there that you need in order to be happy, in order to survive. Right? Well, it is my belief that love is still in the root of all those things. If you love yourself and have the confidence to take the right decisions, you will end up healthy, successful, and financially secure. If you find what you love to do and do it, you will spend your life happy and fulfilled. Love is always at the root of all great things. We become great because we love our parents and want them to be proud of us—even if they still can’t get why exactly they should be proud. We become great because we love our children and want to give them everything and set the best example for them. We become great because we love ourselves. And we become great because (and when) we love our partner and he/she loves us back. Love is all you need to start any of life’s great adventures, to overcome challenges and have a happy marriage. Which is why I believe so much in love! And call me an idealist, a dreamer, but my life proves it. Are you trying to tell me yours doesn’t?